October was a pretty busy month – all my friends from around the world were still in the UK for the first week, so I was still spending a fair amount just going out and doing things, such as visiting the Harry Potter Studios and going to the movies. And then of course there was the spontaneous trip to Amsterdam, which was pretty amazing and well worth the expense! 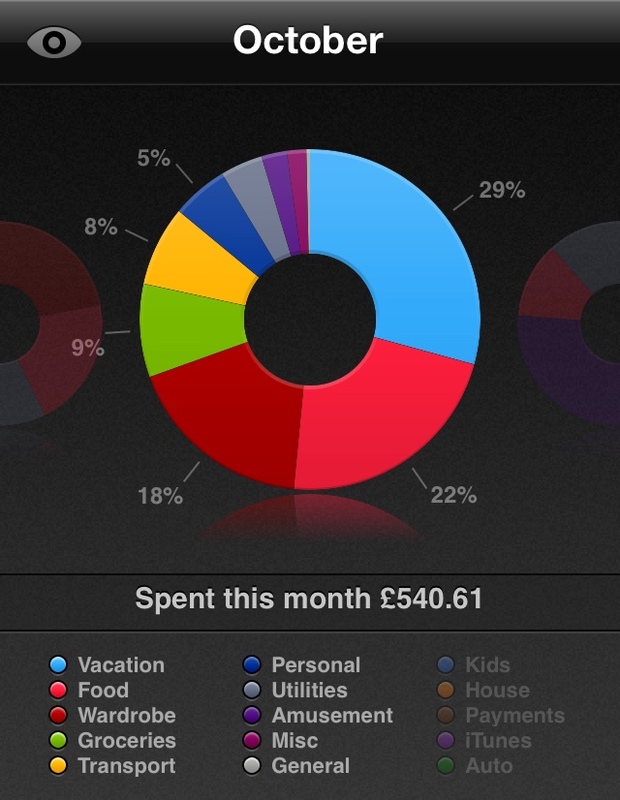 Money Spent (in GBP): £540.61 over 31 days = £17.44 per day! Less than £18 per day, and with a trip to Amsterdam…not bad at all! If I can keep my spending going like that for the rest of the time that I’ll be living in London (until May unfortunately…such a long time), then I should be well on my way to saving enough for my next big adventure (which is all still very much in the planning stage with absolutely nothing confirmed…just the way I like it). Add to this that I started work as a nanny mid-way through the month, and all is pretty fine and dandy on the money, saving and spending front! Biggest Expense/Unforeseen Splurges: Definitely the trip to Amsterdam…although all in all I only really spent about £300 for the whole trip, including the return bus journey and 3 nights in our own apartment. 10 Reasons Why Working At Summer Camp Is The Best Job In The World!